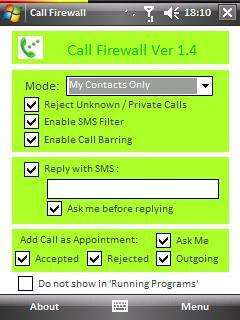 WirelessTime v3.05 freeware for Windows Mobile Phone. Summary: WirelessTime is a freeware program which makes it possible automatically to change the state of your wi-fi card according to the hour and of the day of the week. Very handy, and you'll see with happyness your PDA phone runs alone! You can take a look for the presentation in flash at http://www.pdainfo.org/flash/WirelessTime.swf. realy great feature. must have for a mobilephone !!! 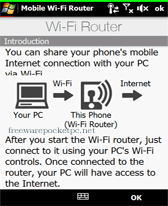 I don`t get installed it on my HTC Touch Diamond2, how do you guys get in on yours mobile??? is there a way to do this not but with my laptop. I need to disconnect my wireless at scheduled times. Very cool application BUT: it seems that it does cancel ALL communication while connecting/disconnecting to a sheduled one. Plus, I'm not sure what the bluetooth icon's colour in the application means. I got it that grey is disconnected, blue connected but blue with green inside? I tried it a month ago....extremely clunky. Does it run minimized in the tray? Hey, Great program BUT. It disconnects my phone every hour. Not a big problem but when i am on the phone it disconnects the call. And that IS a problem. Can i change this? I have a HTC Touch. greatings David. Hi, I need a version for WM6 standard. Any ideas? Hi! Great.. but i can't switch gsm module. I see a red star on the phone picture and i can't tap it. Help? Download link only gets "index.php"; where's the "mobile friendly" download?